Election Tracker LIVE: The Election Commission on Tuesday evening transferred Prakasam district SP K Praveen along with three circle inspectors. Earlier, the poll body had transferred Kadapa DG and Srikakulam SPs. The development has come just 33 hours before Andhra Pradesh goes to polling. Harish Iyer, a well-known LGBTQ activist, has joined Congress. Sharing his induction, Iyer tweeted that he is looking forward to "weed out homophobia, transphobia, Islamophobia and the politics of hate". He said that he would be helping the party's Mumbai unit. Alpesh Thakore is all set to quit from Congress party under 'pressure' from Thakore Sena. Galla Jayadev is marching to the collector's office along with other TDP supporters to protest against the I-T raids. Along with other TDP leaders, Galla Jaydev is presently staging a dharna to protest against IT raids in Pattabhipuram, Guntur. Jayadev Galla is among the emerging group of industrialist-politicians in Andhra Pradesh, foreign-educated millionaires who run big industrial groups and have entered electoral politics. They are in their late 40s or early 50s. I-T raids have started in TDP’s Guntur candidate Jayadev Galla’s offices in Guntur. Jaydev is one of the wealthiest politicians in India with declared assets worth Rs 683 crore in the 2014 general elections. Galla is also the owner of Amaron Batteries. 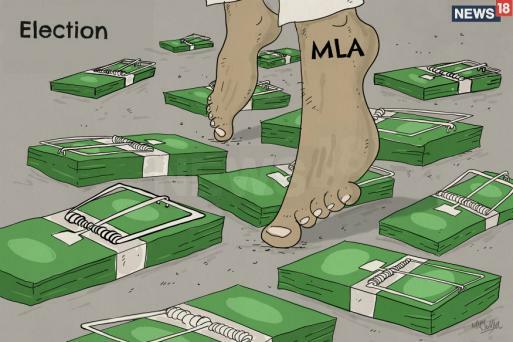 The development comes even as the Opposition has been crying "political vendetta" ever since the searches began in West Bengal, Karnataka, Tamil Nadu and Madhya Pradesh. Election Commission on Tuesday transferred one more IPS officer on Tuesday. Prakasam district SP K Praveen has been transferred. Two Circle inspectors were also transferred as well. In less than a month, cash worth more than Rs 110 crore has been seized by the agencies making it the second-highest seizure in the country. Congress President Rahul Gandhi is scheduled to hold rallies tomorrow in Uttar Pradesh, Bihar and West Bengal. The Congress president will hold a roadshow at 10 am in Amethi, following which he will file his nomination in Amethi at 12 noon. He will then hold a roadshow in Katihar, Bihar and Raiganj, West Bengal at 2 pm and 3.30pm respectively. 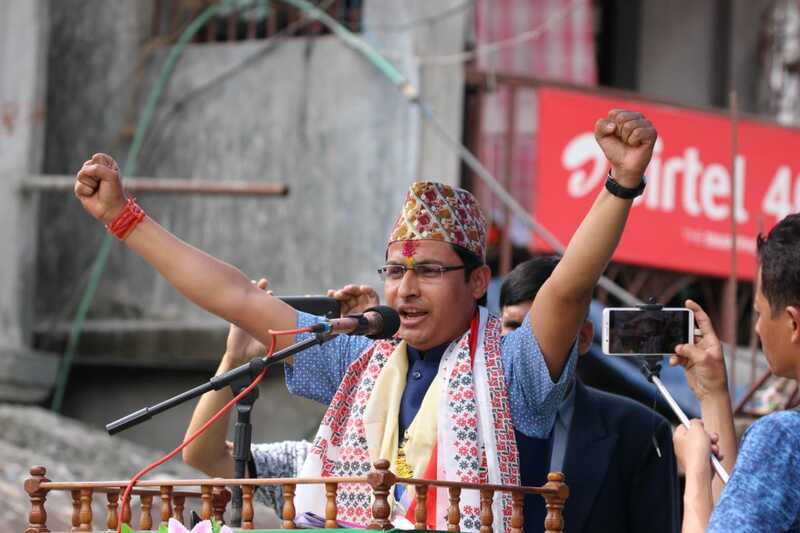 BJP candidate from Darjeeling Raju Bista today filed nomination with the support of the GJM(Bimal Gurung faction) and GNLF. Former JNU students' union president leader Kanhaiya Kumar on Tuesday filed his nomination papers as the CPI candidate from Begusarai Lok Sabha constituency in Bihar. Bollywood actress Swara Bhaskar, civil rights activist Teesta Setalvad, young Gujarat MLA and Dalit activist Jignesh Mevani, CPI national secretary Atul Anjan and fellow JNU student leader Shehla Rashid making her electoral debut in Jammu & Kashmir - were among those who arrived in this provincial town on the occasion. In a video posted by Sarma, he can be seen breaking into an impromptu jig on a jingle of the party - 'Aakou Ebar, Modi Sarkar (Once again Modi government)'. Delhi BJP Files Complaint Against Cong for MCC Violation | The Delhi unit of BJP has written to the Chief Electoral Officer of Delhi, demanding action against the Congress for allegedly violating the Model Code of Conduct. Delhi BJP general secretary Rajesh Bhatia, in the letter to the EC on Tuesday, said he had seen two autorickshaws, plying near the India Gate roundabout, with posters promoting the Congress party, with the slogan, "Congress party se high-five". NYAY Has Amazing Resonance in Field; PM Can't Stop Talking About it: Rahul | Congress president Rahul Gandhi on Tuesday said his party's proposed minimum income scheme 'NYAY' has an "absolutely amazing" resonance in the field and claimed that Prime Minister Narendra Modi "can't stop talking about it". The Congress has promised to deposit Rs 72,000 annually into the bank accounts of 20 per cent of the poorest people across the country if it comes to power. BJD Will Play Important Role in Govt Formation at Centre: Patnaik | Ruling BJD president and chief minister Naveen Patnaik on Tuesday said no party will get absolute majority in the Lok Sabha election and claimed that Odisha will play an important role in the formation of the next government at the Centre. Patnaik said the regional party will support a government at the Centre that supports Odisha's legitimate rights. Former Chhattisgarh CM Raman Singh takes potshots on Congress after attack on BJP convoy: I'm in contact with central ministers; spoke to PM Modi an hour ago. I'll go to Dantewada and meet families of deceased. Congress ki boli aur goli ka asar dikhne laga. BSP president Mayawati on Tuesday promised to extend reservation to the private sector if the opposition alliance comes to power at the Centre. "Once the alliance forms its government, reservation will also be extented in jobs in the private sector," BSP president said while addressing an election meeting here. "We will work on the policy of 'sarvjan hitay, sarvjan sukhay' on coming to power," she said. The BSP is contesting the Lok Sabha elections in alliance with the Samjawadi Party and RLD in the state. Trinamool Congress has sought an immediate appointment with the Chief Election Commissioner on the issue of Coochbehar SP’s transfer. The remarks by PM Narendra Modi on the IAF operation on February 26 while addressing rallies in Maharashtra and Karnataka prompted the CPI-M to write a letter to the Election Commission(EC) alleging violation of model code. "With deep anguish we are drawing your attention to the latest violation of Model Code of Conduct (MCC) by Prime Minister Narendra Modi. He is also violating the specific direction of the Election Commission to refrain from invoking the armed forces for seeking votes," CPI-M politburo member Nilotpal Basu said. BJP candidate from Darjeeling Raju Bista files nomination. GJM (Bimal Gurung faction) and GNLF are supporting the BJP candidate. 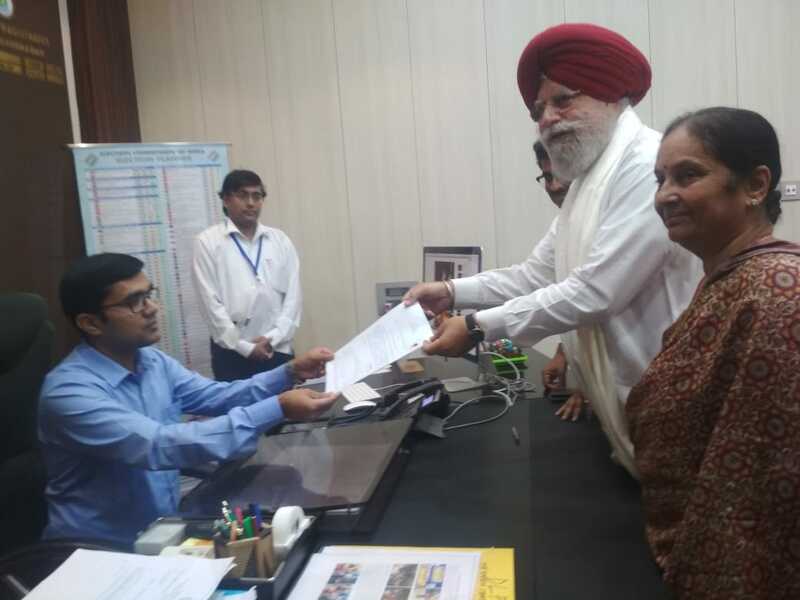 Union minister and BJP candidate SS Alhuwalia from Burdwan-Durgapur constituency files nomination. Alhuwalia is the incumbent Darjeeling MP. With the end of campaigning for the first phase, all eyes are now on how people decide to vote this season. Despite Election Commission's warning to be careful while making statements, Uttar Pradesh chief minister Yogi Adityanath on Tuesday once again landed in trouble over "Ali-Bajrang Bali" remarks. Taking cognisance of the matter, the poll body sought a report from Meerut district magistrate. The officer has been asked to submit a report by 11 am on Wednesday. LGBT activist Harish Iyer joins Congress to weed out 'Islamophobia' and 'Homophobia'. "I have officially joined the Congress and look forward to working with the Mumbai Congress team in weeding out homophobia, transphobia, Islamophobia and the politics of hate," he announced on Twitter. PM Modi in Coimbatore: Kerala isn't far from here. Congress and communists are together in destroying the culture of Kerala. Their stand on Sabarimala has vote bank politics written all over it. 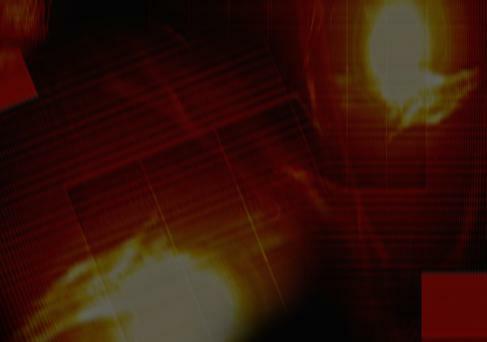 I want to say that the force of the communists will not be enough to destroy our faith. 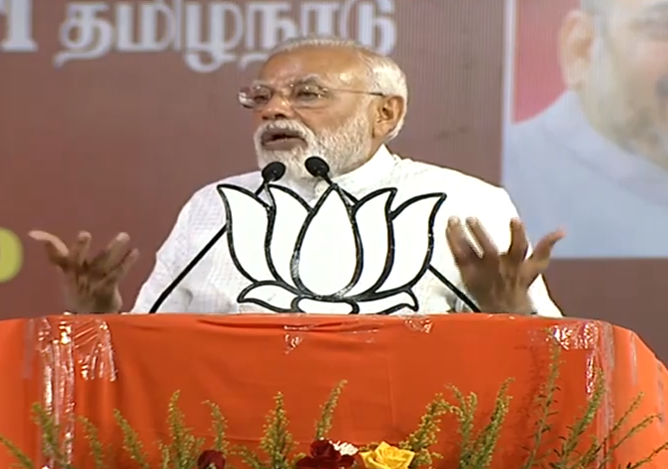 PM Narendra Modi in Coimbatore: Congress and DMK are anti-women parties. Their leaders have made worst comments on women. DMK is deeply patriarchal and they ill-treated Jayalalitha. Can such a party ever protect women of Tamil Nadu? PM Narendra Modi in Coimbatore: We understand importance of textile sector. GST Issues of the sector have been solved to a great extent. Time has come for women-led development. PM Narendra Modi is addressing a rally in Tamil Nadu’s Coimbatore. State CM Palaniswami is also present. Modi said, “Your own city saw a deadly terror attack in Feb 1998. Weak manner in which Congress in Centre & DMK in TN acted, is known to you. Today's India is different. Anyone who dares to attack India, will get a strong response. We'll pay back in the same coin and with compound interest. 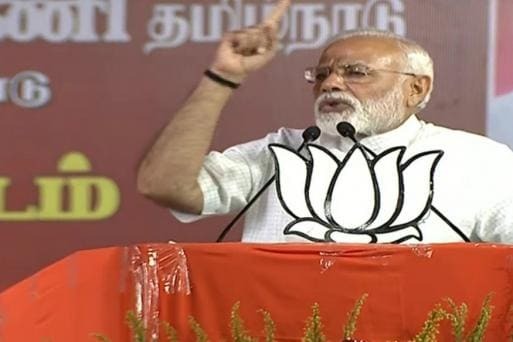 PM Modi in Tamil Nadu: Opposition has no plan when it comes to national security. Their soft attitude made India helpless in front of forces of terror for many years. These days the issueless opposition has started asking - why is Modi talking about nationalism? File photo of Gujarat Congress leader Alpesh Thakor. Congress president Rahul Gandhi raked up the migrant attacks on Biharis in western India, asking what has PM Modi done for the residents of the state since then. "You go to western parts in search of jobs and get attacked. Many have gone to BJP-ruled states of Maharashtra and Gujarat, yet you have to face this. What has Modi done for your? He even promised special status to Bihar. What happened?" Gandhi asked addressing a rally. Gandhi was referring to the 2018 incident when over 55 cases of attack on migrants, mainly from UP and Bihar, were registered across Gujarat and 431 arrested after a 14-month-old girl was raped in north Gujarat on September 28. Uttar Pradesh Chief Minister Yogi Adityanath on Tuesday attacked Opposition parties, including the Indian Union Muslim League, describing the outfit as "a green virus". He was referring to the green-coloured flags waved at a rally attended by Congress chief Rahul Gandhi after he filed his nomination papers from Wayanad in Kerala. Congress President Rahul Gandhi on Tuesday accused Prime Minister Narendra Modi of being a “coward” after he invited the latter to an “open-book” debate on the Rafael deal and other issues. “Chowkidar is not only chor, but also a coward, I told him to debate with me as he talks about corruption, but he does not have the guts and fled,” Gandhi said at a rally. Madhya Pradesh Chief Minister Kamal Nath today hit out at Prime Minister Narendra Modi for calling him "Bhrasht Nath" after raids by the Income Tax department on his close aides. Modi, in an exclusive interview with News18 Group Editor-in-Chief Rahul Joshi, said, “Bhrasht Nath could say anything, but it doesn’t matter. Action needs to be taken on scams and corruption. Scams were put in cold storage and we thought they should be probed. If the scams are surfacing, the people behind them should also come forward." Reacting to the PM's dig, Nath accused the Prime Minister of “overlooking” the scams that took place during the then Shivraj Singh Chouhan government. He added that the I-T raids were futile and it was in reality a BJP man who was caught with money in the I-T raids. “Modi is scared and has forgotten the Vyapam Scam, e-tendering scam and several other such scams. Nothing will be found in the raids as it is a political attack," he said. Prime Minister Narendra Modi launched his election campaign in Maharashtra's Latur today with a stinging attack on the Congress, calling it a party that wants to give open licence to anti-nationals. Addressing a joint rally with Uddhav Thackeray at Ausa in Osmanabad, he said Pakistan would not have born in 1947 had Congress leaders acted wisely in the pre-Independence era. 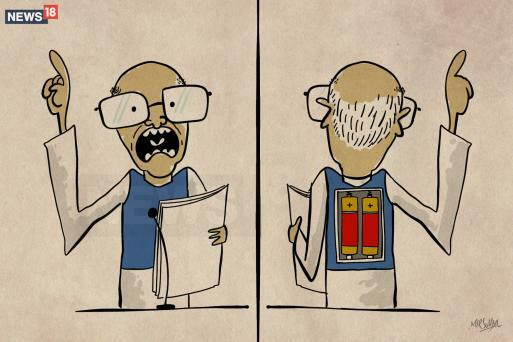 The Congress party's manifesto speaks the same language as that of Pakistan, he added. He is now addressing a rally in Karnataka’s Chitradurga, which is under the Congress. After Chitradurga, it will be Mysuru, which was won by the BJP in the last Lok Sabha election. Later in the evening, Modi will reach Tamil Nadu where he will take the BJP rally forward to Coimbatore. 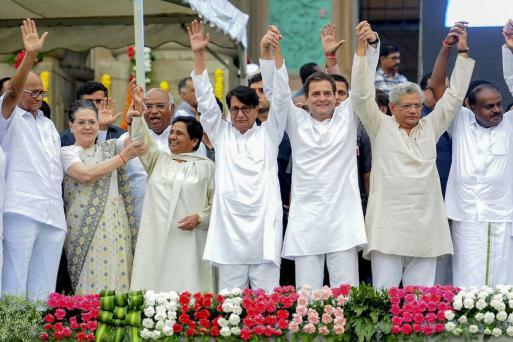 Today is the last day for political parties to campaign for the first phase of Lok Sabha elections and the final day of filing nomination for the fourth phase. Rahul Gandhi will reach Assam to kick-off Congress campaign in the northeastern state, two days ahead of the first phase of Lok Sabha elections. The Congress president will address a rally at Panchgram in Hailakandi district. He will then proceed to Bihar where he will campaign at Gandhi Maidan Ground in Gaya, a city that holds supreme importance among Hindu devotees. After Bihar, it will be Odisha’s Phulbani. Meanwhile, Congress general secretary and eastern UP in-charge Priyanka Gandhi Vadra reached Saharanpur for a mega road show from Gol Kothi to Qutub Sher. The Congress is trying to dethrone the Bharataiya Janata Party form the Saharanpur seat. In Telangana, BJP national president will campaign for the upcoming Lok Sabha elections. Led by Asaduddin Owaisi, Hyderabad is AIMIM party stronghold. The BJP chief will also take out a massive roadshow from Singha Dwara of Shree Jagannath Temple to Badasankha in Puri, Odisha.